50, 50A, 50B, 50C, 50D, 50E, 50F, 592, 595, 65, 65 US Built, 698, 835, 865, Super 90, TE20, TEA20, TED20, TEF20, TO20, TO30, TO35. Massey Ferguson133, 135, 135 Gas / 135 Petrol, 135 US Built, 140, 145, 148, 150, 152, 155, 158, 165, 165 US Built, 168, 175, 175 US Built. 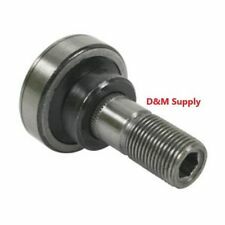 Replaces Part Number: B93175, JD9070, W983937, 287902, 30-3156737, 70929742, 929742, 35729, 21883265, 197662, 80357239, 80199955, 86980507, 1957732C1, 1957730C1, 376463C1, R32216, P39876, P2039824, A2039824, 156228C91, 1120921C1, 276243A1, R24000, R10275, A24166, A7792. This is a tractor clutch pilot bearing that is commonly found on FarmPro, Nortrac, and Jinma tractors. Nortrac 204 / NT 204. Nortrac 254 / NT 254. Nortrac 304 / NT 304. Nortrac 454 / NT 454. This bearing will fit the tractor model stated in the title as well as the others listed below. New wheel bearing kit for Case skidloaders. Replaces wheel bearing kit # B93176. 1530B, 1700 Series, 1830, 1835, 1835B, 1835C, 1838, 1840. Enough To Service 1 Wheel. FOR THE FOLLOWING CASE SKIDLOADERS. 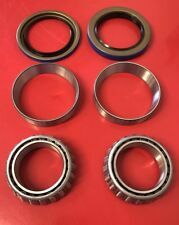 3901170 CON ROD BEARING SET STD Fits Cummins 6BT (6 pair/set). Part Number: TB7623. Overall Length: 2.350". Brg Type: 1. Width.551". U5MB0033 MAIN BEARING SET STD Fits Perkins 1104C-44 1104D. 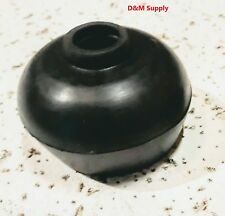 This bearing is used on the rotor of John Deere model 25 and 25A flail mowers under serial number 641207. 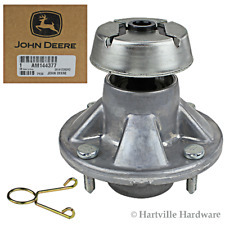 A genuine John Deere John Deere #AE793E Cross & Bearing Assembly. 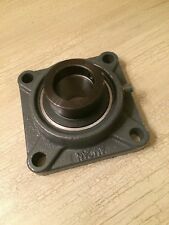 A genuine John Deere #AM131981 Cross & Bearing Assembly. 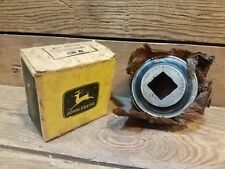 A genuine John Deere #AM119482 Bearing. A genuine John Deere #GX20818 Bearing. RUBBER BEARING / ISOLATOR MOUNT. NEED MORE THAN ONE MOUNT?. THESE ISOLATORS WERE MANUFACTURED WITH PRIDE IN THE USA. A genuine John Deere #AM127304 Front Wheel Bearing. 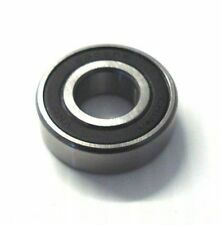 Includes 1 bearing. Note that 2 bearings per wheel are usually required. New set of three standard rod bearings. 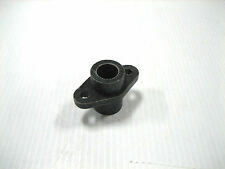 Used in several models Case IH/Farmall, Ford / New Holland Caterpillar with Shibaura engine. Replaces SBA198586220 1566978 156-6978 SBA198517650 198517252. 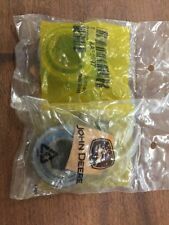 John Deere AA22097 Bearing 2 Pack New in Package . Condition is New. Shipped with USPS Priority Mail. MT300 MT2001 MT2301 MT2201 MT2501 and more. 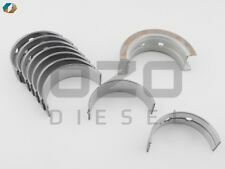 this is a release and pilot bearing for many Mitsubishi tractors D2000 D2050 D2300 D2350 D2500 D2600 D2650 D3250. Use with Fractured type conecting Rod. Massey Fergusson Ref: 736951M91. 85042 CON ROD BEARING SET STD Fits Perkins 4.212 4.236 4.248 1004 1004T. CASE Genuine Parts Bearing 700709621 Free USA Shipping!